It is Christmas Eve. We are running about the house with preparations and last minute things. Beth just commented that we had put too many of our things on top of the credenza and, as a result, we were pushing the nativity scene to the side. That seems to be an appropriate metaphor for life in the build up to Christmas. I am not sure where you find yourself this Christmas. Or, if last Christmas, you thought you would find yourself in the situation you are in now. As for this family, we have been on an unexpected journey in 2013. Last Christmas we didn’t expect to be here, doing these things, in this way. Admittedly, we have let some of the things of life push aside the source of Christmas. Does Christmas HAVE to be we expect it to be? Are we caught up in the notion that Christmas has to be white? We can thank Irving Berlin’s 1954 movie and song for that idea. Are we caught up in the notion that certain dishes must be served, parties thrown, or presents given? What expectations do we put on Christmas that must be fulfilled or we will be miserable? Are these just other ways in which we take the things of life and put aside the picture of the nativity? Christmas, when it take away all the trappings, is about a baby. A baby who is God with us, Emmanuel, born of virgin, in a little town, to a poor family. He grew to be a man. Fully human and fully divine: he taught, he healed, he performed miracles, he pronounced forgiveness, he came to set things right again. For it he was crucified. Dead and buried, after three days, he rose again to new life. It is his death and resurrection that makes Christmas mean something. That first Christmas was full of unexpected things. A young woman gives birth among animals and lays her newborn in a feeding trough. The announcement of the New King’s arrival does not come to power and authority first. Instead it comes to lowly shepherds. He isn’t given a royal welcome. Instead his parents must flee to foreign lands to preserve his life. Not what any of them were expecting. The journey between Christmases is not what we were expecting. But it has been one filled with Awe and Wonder. Our prayer for you is that you would capture some of this Awe and Wonder of the Saviour whose birth we celebrate at Christmas time. No matter where you find yourself this Christmas (no matter where you are celebrating or if the ground is covered with snow) may your celebration be filled with Awe and Wonder if a Saviour born to us, he is Christ the Lord. The Church of the Nativity. At the far end is the Altar. Below the Altar is the cave where, tradition says, Jesus was born. In January our family was blessed to co-lead a trip to the Holy Land. 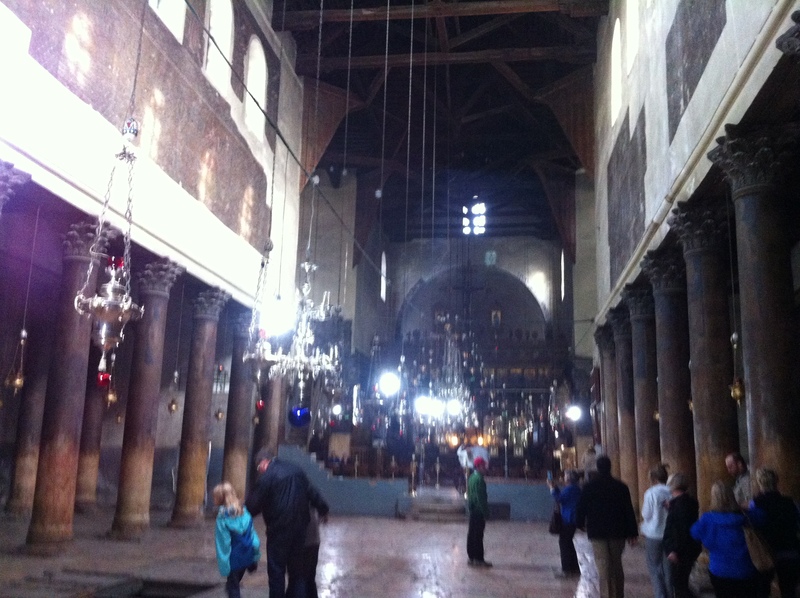 Below we have included a few pictures from Bethlehem. The Gospel according to Matthew, Chapter 1, verses 18-25. 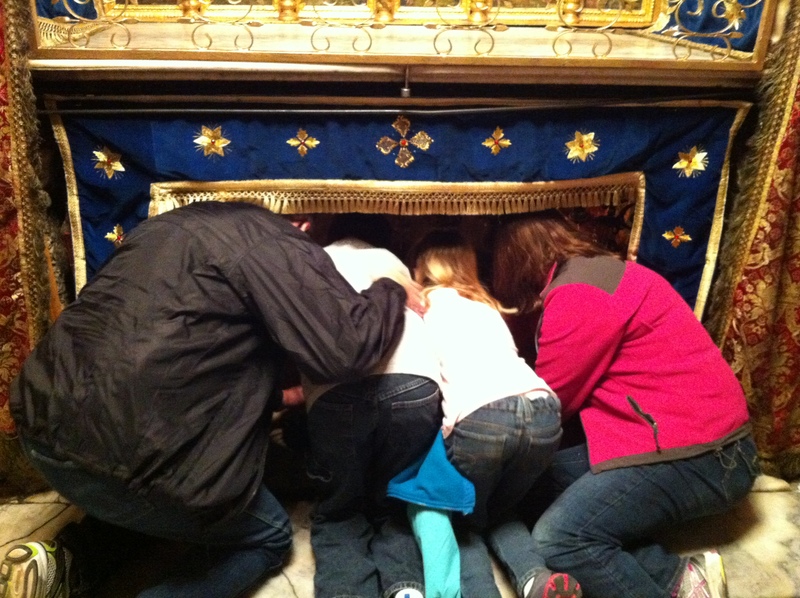 The four of us take a moment to kneel and pray in the place where, tradition says, Jesus was born. And from the Gospel according to Luke, Chapter 2, verses 1-7. 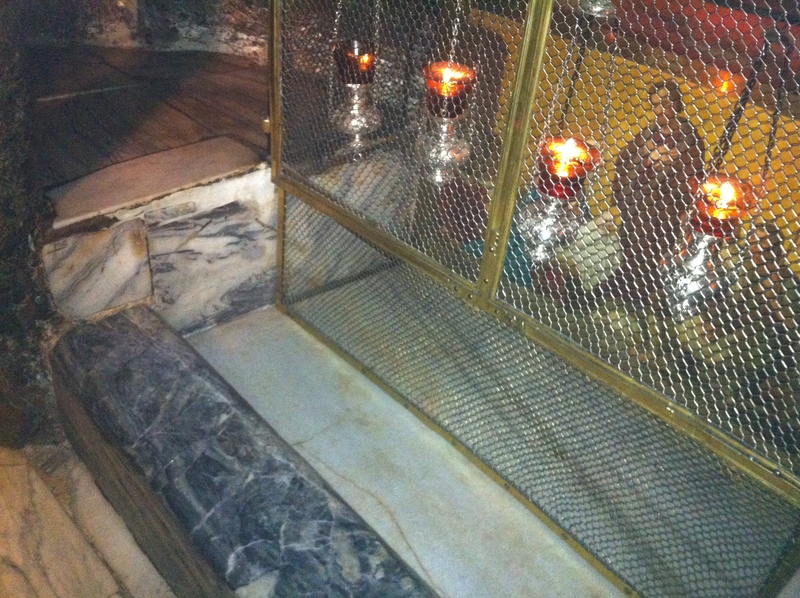 This is the traditional site of the manger where Mary laid Baby Jesus. Merry Christmas from Old Pierce Road! And Merry Christmas to our dear friends on Old Pierce Road! Thanks for the wonderful post. Just as the world needed Christ to come 2000 years to go to rescue mankind from itself, we still need Christ to save us today. I feel so blessed this Christmas, not only to have my family here, but because my family can be a beneficiary of God’s grace through Christ. Beautifully said! Have a very Merry Christmas!